Looking for private in-home or in-studio Mandolin lessons? Our Coppell teachers are ready to get you started. Find your teacher today! Check out some of our most popular teachers near Coppell, TX including Dallas, Fort Worth, Plano, Frisco and Irving. Have been playing the mandolin for over 10 years. 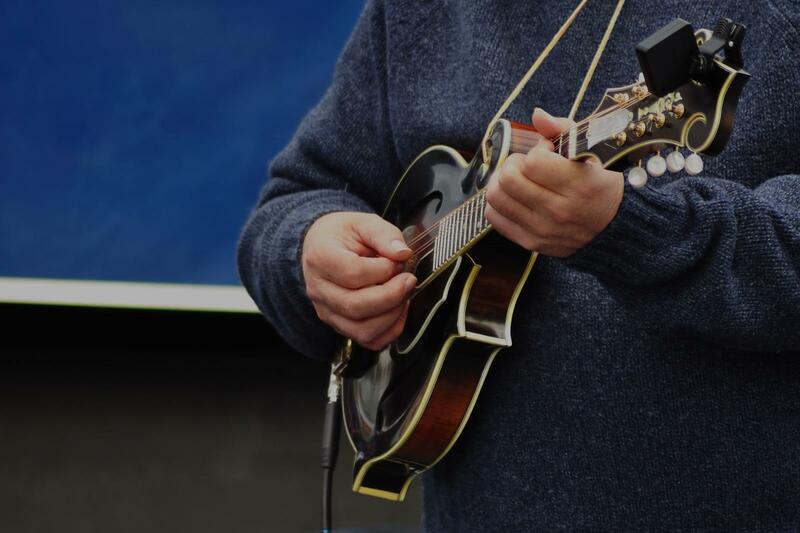 Mandolin is mostly known for bluegrass, but in the last few years it's become quite prominent in country, as well as other genres. It's a very fun instrument, once one gets used to the size. vocabulary, and maybe learning a basic scale or two. After that students are ready to learn tons of songs. Born in Arlington, Texas, I began playing guitar and bass guitar in high school. After studying for several years under Joey Faust, I studied Jazz, Classical Guitar, and Music Theory at TCC in Fort Worth. I began teaching in my free time to friends and family in 2003; by 2008 I was teaching full time, my students ranging in age from 3 to over 70. I also play piano, mandolin, banjo, ukulele, and auto harp. I believe lessons should be fun, so all lessons are tailored to the individual student, based on the student's interests and goals. Students are free to progress at their own pace, and to choose their own learning material. Styles and techniques include Rock, Country, Blues, Bluegrass, Jazz, Shred, Slide Guitar, Classical Guitar, and Slap Bass, to name a few. io are definitely more beneficial to the student, because I have all my toys here! Besides having all of my other instruments here for demonstrations, or being able to freely change between electric or acoustic guitar for example. I also find that students who are at home (especially the children) tend to be more distracted, whether it's from lack of privacy due to the area chosen for the lessons, or often (again, this goes especially for the kids) there are pets that they like to play with while I'm trying to talk to them. When they're guests in my home, however, I find I have their strict attention. I am primarily a guitar player specializing in electric lead guitar and solo acoustic guitar/vocal performance. I also teach beginner to advanced bass guitar, primarily finger-style. Easy to talk with, seems knowledgeable, patience. Pleased with my first lesson. Ray is very patient, knowledgeable and makes the lessons fun. Ray is complimentary on my progress and that is exactly what beginners need. I have over 30 years experience as a music teacher. Although guitar is my main instrument, I play several stringed instruments, including mandolin, well enough to teach beginners of ALL ages - children, teens, and adults. I have played mandolin with bluegrass bands, in the past. Mandolin is a good first instrument for those who have never played a stringed instrument before, and for young children whose hands are not strong enough to play a larger instrument such as a guitar. It is fairly easy to learn, and fun to play. I teach beginner mandolin, focussing on the basics of stringed instrument skills. We will spend some time reading basic melodies, learning the fretboard, and learning strumming styles and techniques. Students should expect a strong foundation in reading and performing quality repertoire for the Mandolin. My curriculum will focus heavily on Bluegrass and Celtic music. Most view mandolin as an instrument used exclusively for country and classical music. I disagree. I am a blues and jazz mandolinist with years of onstage professional experience and a library of knowledge on contemporary styles and theory. My approach to mandolin starts with basic theory and ear training. I find this helps students understand structure and form more easily. From there we learn what you want anf the lessons are structured around your needs and goals. Whether you want to play an Irish jig or rock out like Hendrix I have something for one and all. I am an experienced and gigging mandolinist, specializing in beginner and intermediate students. I have an expansive knowledge of music theory, improvisation, and technique, and I especially like to highlight the multi-genre capabilities of the mandolin! I can customize our lessons to make sure you’re playing and learning exactly what you want to be, and I have a pretty open schedule to cater to your time restraints. Let’s get started and discover the endless possibilities the mandolin has to offer! Hello, my name is Will Ruff, and I have been a Violist and Violinist for about 12 years, and a Mandolinist for about 4 years! I study music performance and jazz at the University of Georgia, play viola in the UGA Symphony, and play/write music for my band. Music is my life, and I believe music should be accessible and played by people from all walks of life. I want to help people discover passion and appreciation for all genres of music, and most importantly have fun while doing so! Will is encouraging, insightful, and patient! My very first violin lesson couldn't have gone better. There was helpful critiquing and a fair amount of pats on the back when it came to small victories. For a beginner like myself, that kept my morale on the up and up. Will carries a positive and understanding attitude which makes me eager for our next lesson! My daughter was really happy with the lesson. Will is enthusiastic in his teaching and easy to work with. I have a long track record of teaching in the realm of acoustic music. Beginning in 2010 (while living in Rhode Island) I decided to share my knowledge of stringed instruments as a traveling music teacher. Through the years of performing in various bluegrass outfits, I have always had students eager to learn how to begin or advance their skills in stringed instruments through one on one lessons, coaching, and jamming with others. During the 2015-2016 school year I held the position of Music Therapist In Residence at the CITE School in Providence, RI working with developmentally challenged and disabled students, which allowed me greater insight into different coaching and music education techniques. I am currently endorsed by Ear Trumpet Labs of Portland, OR and The Deering Banjo Company. get some coaching/advice on advanced improvisation techniques on the banjo, we can get it done together! If you're ready to start down the road and learn the rudiments of guitar, mandolin, or upright bass, we can start that journey. If you're trying to figure out where you fit in in a jam situation: let's find you a spot! In addition to these education services I also provide a recording of each lesson using a variety of state of the art equipment, including Ear Trumpet Labs microphones and the Zylia Mobile Recording Studio. I look forward to hearing from you, and hope that we can work together to unlock your inner musician. since this was my 1st lesson everything went well. looking forward to my next lesson and the lesson after that and so forth. Jesse is extremely talented and an excellent teacher. He is very patient and encouraging in his teaching style. He knows banjo and how to motivate his students. Establishing a strong foundation is the basis of his teaching method. Everything builds on this solid foundation. I love teaching students what THEY want to learn, while providing them with a solid foundation on their instrument. I will cater the lesson to the needs of the student and make it fun, because music is meant to be fun. I can help students learn music of their choice, or I can come up with some music to get them started. If they want to to learn music by ear, read music, improvise, or learn new tunes, I love teaching all of those things! I am a fiddle, mandolin, and guitar player with a passion for bluegrass and old time music. Over my years of learning to play this music, I have been taught by many amazing teachers and mentors, which has inspired me to want to teach and mentor other musicians. My students can expect to learn whatever kind of music they are most interested in, or if they prefer, I can choose some music to start them out on. I have experience in learning multiple styles of music from various teachers with different teaching styles, which gives me the ability to explain things to my students in many different ways to ensure they fully understand. I believe a solid foundation of technique and music theory will help any student succeed in learning how to play any genre of music. ude: expanding repertoire, ear training, music reading, improvising, jamming, music theory, and technique. I am very energetic and enthusiastic, I love to teach! I am a very encouraging teacher and I love seeing my students succeed. I am looking forward to meeting you soon and hope you can learn something valuable from me! "great teacher.. demonstration then practice...."
Dallas, TX teacher: Ray M.
"Great first lesson. Glad I finally signed up." "I have a hearing problem and he didn't mine repeating when I need it." "Really flexible and very helpful. Prompt and friendly." "Great first session. Jordan put me at ease, we clearly defined our goals and a lesson plan then got right to it. Looking forward to working with him." "Great instructor with great patience for zero experience student. Looking forward to next lesson. I'm hooked." "Ray is patient and encouraging. He challenges students to get better every week." "Great intro lesson! Called the day before to make sure everything was all set - prompt call, fun lesson!"